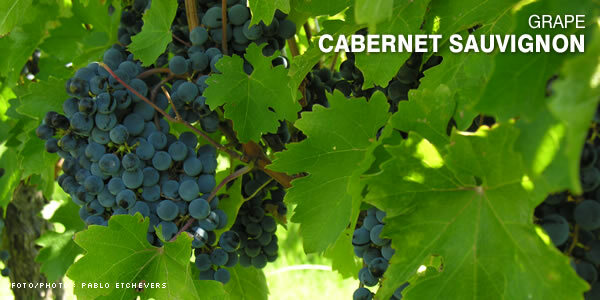 Due to its great capacity of adaptation to all kinds of weather, Cabernet sauvignon is considered the king of red varieties. Its grape, native from Bordeaux, France, produces a wine with remarkable acidity, sharp and with a strong presence of tannins. Once matured, it turns out to be a tasty wine with full body. It has intense colors and a complex aroma of fruit, cinnamon, coffee and peppers. In Uruguay, all wineries make this wine, ideal to accompany meat, sauce and pasta. As it matures late, the ideal environment to grow this grape is made up by temperate areas with soft falls.